For Ron Wynn, a career in real estate doesn’t just mean representing buyers and sellers, it means being part of the community and providing opportunity to many people, including those less fortunate. Ron Wynn is an avid supporter of the local schools, and especially Westwood Charter Elementary and Mar Vista Elementary. For the last eleven years, Ron has funded Westwood Charter’s Halloween Pumpkin Patch, and for the last nine years sponsored the back-to-school barbecue. He has also participated in numerous activities at the school, including the tile wall fundraisers, library fundraiser, computer purchases, and PTA fundraisers. Ron has also contributed to activities and fundraisers at Grant Elementary, Fairburn Avenue School, Warner Avenue School, Clover Avenue School, Walgrove Elementary, Braddock Elementary, Beethoven Elementary Farragut Elementary, Mar Vista Elementary, and Overland Elementary School International Fall Festival, as well as Grant Avenue Elementary, Roosevelt Elementary, and Franklin Elementary schools, all in Santa Monica. Ron has donated to and participated in activities, fundraisers, and Career Day Symposiums personally at John Adams Middle School, Emerson Middle School, Culver Middle School, University High School, Santa Monica High School, Culver City High School, and UCLA Extension. 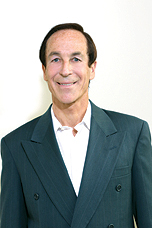 From 2000, to 2006, Ron was on the Board of Directors of the Westdale/Trousdale Homeowners Association. Every year he donates to the Homeowners’ Association block party. Ron also supports many other charities, including the Make a Wish Foundation, Habitat for Humanity, The Junior Blind, The American Red Cross for the benefit of those damaged by Hurricane Katrina and also 9/11, St. Joan of Arc Church, St. Paul’s Church, Temple Isaiah, Stephen S. Weiss, Temple Akiba, Adat Shalom Temple, and the American Cancer Society. Ron makes it a point to participate personally in any political/community events and meetings affecting the homeowners and prospective buyers in the various communities he serves. He voices his opinion on behalf of homeowners, taking whatever position is best for the community, and that will preserve property values for the future. Some of the most recent issues that Ron has been involved with are the Historical Preservation Committee regarding the Courtyard Apartments on National Boulevard, the proposed Light Rail running along Exposition Boulevard near Cheviot Hills and Rancho Park, traffic control, traffic humps and bumps and cul-de-sacs throughout the area; Playa Vista/Wetlands debate, Bundy Village, density and noise issues, street widening and traffic routing in Century City and Westwood, the Santa Monica Airport, and the expansion of Santa Monica College. Any time there is a public concern on the Westside, Ron is also concerned as a property owner and member of the community and gets personally involved with preservation of property values for the future in mind. If you would like Ron to donate to any of these communities or organizations listed on this website, please ask him, prior to signing either a Listing Agreement or Purchase Agreement with him, to make it a part of the written agreement. Upon the successful close of escrow, Ron will donate $1,000 to the above charity of your choice from his commission, subject to the written agreement. It is instinctive to help out those in need. Real estate is not a house business – it is a people business. Humility rises above all . . . . .
As a child, my mother reminded me and my sister to be forever grateful for everything we have. “We all come into this world the same. “We all leave this world the same.” She would say. “The time in between is an adventure. Ron Wynn is an active member of his community, donating time and making monetary donations to many churches and synagogues on the Westside, including: St. Joan of Arc Parish, St. Paul’s the Apostle, Temple Isaiah, Temple Akiba, and Temple Beth Shalom, among many others. Over the years, Ron has offered a $1,000 donation referral fee for anyone who requests a donation at the time of listing their property. Please check with Ron directly at the time of listing your property for more information about his $1,000 donation program.